A conversation with Rick Mamoser of Prairie State Winery is a glimpse into the mind of modern day, mad scientist (of wine-making). New ideas for flavors, new combinations of ingredients, and new processes for producing fine wines are constantly in motion. It’s this maelstrom of inspiration that makes Prairie State Winery a must-stop destination for oenophiles everywhere. “We want to have a wine for anybody that comes in.” The tasting room in Genoa, IL offers a staggering variety of over 35 unique wines—all processed just two blocks away in a state-of-the-art facility. The environment is warm and relaxing—whether you’re going to sit at the wine bar or head upstairs to the smaller private nooks to unwind. Choosing from so many varieties can prove daunting, but that’s where the staff of wine experts comes in. Within a few samples, these talented stewards can zero in on an individual’s preferences with laser-focused precision. 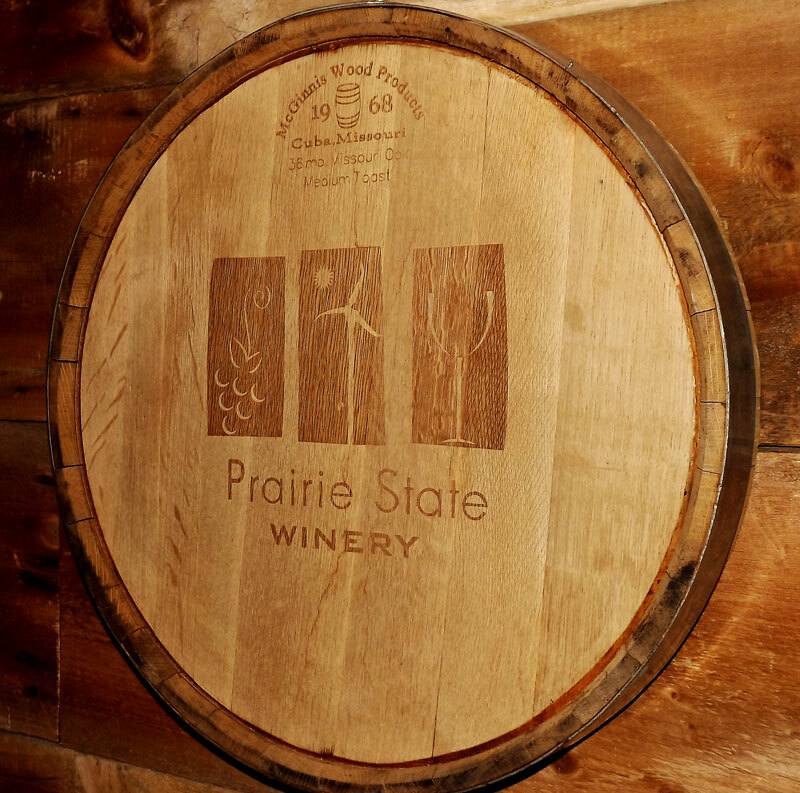 Prairie State Winery offers flavors that are found nowhere else. 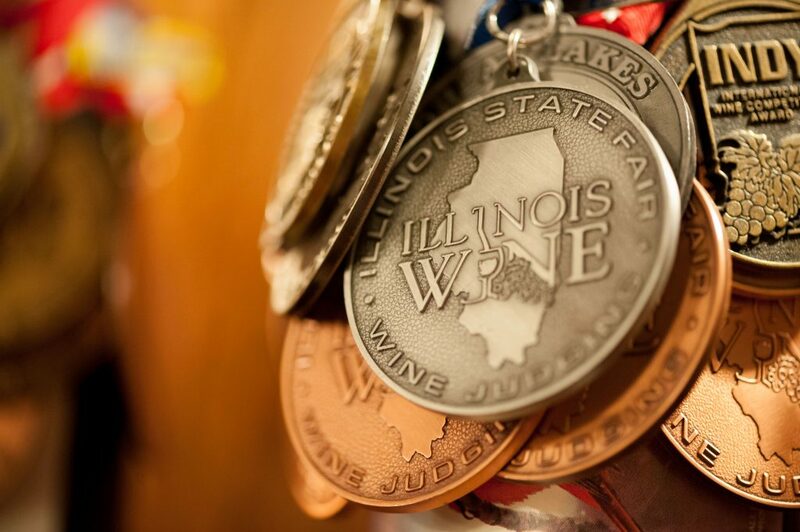 Utilizing grapes grown in Illinois and around the country, they’ve perfected the art of co-fermenting different types of grapes to create unique fusion flavors. Wines such as the Snap! —a fragrant white that was infused with fresh ginger—is a perfect example of the creative efforts of the Mamosers and their approach that there is indeed a wine for every palate. Die-hard wine lovers can also sign-up for the Prairie State Wine Club. Every quarter, members receive three-packs of unique wines selected by Mamoser himself and are privy to special events, tastings, and releases at the nearby Sipper’s Club. However, Prairie State Winery isn’t content to rest on the laurels of the current processes. A visit to the back of the Sipper’s Club facility across the street shows just how passionate Rick Mamoser is about always striving to find new ways to create a more flavorful experience. There, visitors will see two 134 gallon amphoras, giant terra cotta urns made in Tuscany that have been used in European winemaking for centuries. These massive crèche are from a time before the use of wooden barrels and create a more flavorful vintage by allowing more water and alcohol to pass organically through the structure during the fermentation process. What remains is the color, flavor, and tannins—with a focus on the fruit. After eight months of fermentation, the result is a concentrated full-bodied wine that is unique in the Midwest to Prairie State Winery. The experience of a visit to Prairie State Winery is part education, part recreation. The friendly staff of the tasting room takes pride in their ability to help individuals find a wine that is perfectly suited to their own unique taste. The atmosphere is casual, the wine selection is beyond expansive, and pride in the craftsmanship is evident from the moment a visitor crosses the threshold. Whether you’re an experienced wine connoisseur or someone who is new to vino, a visit here is sure to open up new experiences and new flavors that will become the first of many more in the future.